Yes, I had to ask too. 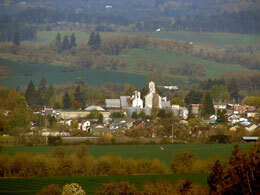 Just a few miles north of McMinnville, this tiny town is nestled amid rolling hills peppered with vineyards. Once a hub of a timber industry (those rolling hills weren’t always seed grass and vineyards), town civic leaders have hopes that Carlton will become the Oregon wine village. Grain silos loom and some buildings are unoccupied, but the town already has a head start on its new persona. Several buildings have been converted including the former post office and the handsome historic train depot, the home of Tyrus Evan, Ken Wright’s winery tasting room and gift shop. The beauty of Carlton is its charming smallness. Little traffic. Walk everywhere. Within a few blocks, there are nearly a dozen nifty wine-related enterprises embracing wine bars, tasting rooms, wineries, and retail shops featuring hand-crafted selections you may not find elsewhere. For a fantastic vista take a short drive east of town to Anne Amie vineyard and winery where you can enjoy a flight of wine and browse for wine accessories while you take in that view. 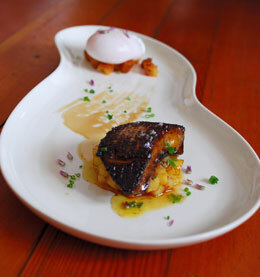 Cana Feast (formerly Cuneo Cellars) offers Saturday lunches and some evening wine dinners. The Carlton Winemakers Studio hosts winemaker dinners on Wednesdays April through September. And don’t miss the acclaimed French restaurant Cuvee right downtown. Yes, Carlton. Think wine. This splendid rolling farmland nestled against the timbered Coast Range has more than 80 wineries and 200 vineyards, less than an hour west of Portland. You could spend weeks meandering around this lovely countryside sampling wines, food and staying in wonderful places. McMinnville is easily by-passed on the way to the Oregon coast from Portland, but it has a lovely, historic walking-friendly downtown with appealing shops and cafes worth exploring. The Evergreen Aviation & Space Museum is just out of town featuring Howard Hughes’ famous "Spruce Goose," and more than 80 historic aircraft, including the helicopter a friend pilot and I once ferried back to McMinnville from Anchorage, Alaska (now in a museum, eek!). For culinary treats, don’t miss Nick’s Italian Café (30 years and still thriving), the chic Spanish-influenced La Rambla or Bistro Maison — a cozy house with inviting garden patio dining. 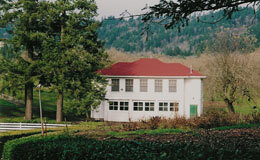 Of course, McMinnville is part of Yamhill wine country for tasting jaunts or simply meandering the gorgeous countryside. Get off hectic Hwy. 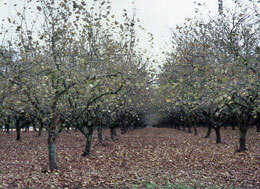 99W, north of Newburg, and you’ll find yourself amid the bucolic farmlands of Yamhill County wherer a mosaic of pastures, orchards, and vineyards unfold. Vineyards, wineries and tasting rooms are marked on highway signs throughout the area. 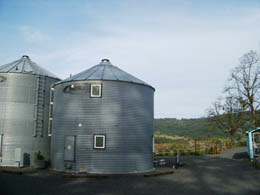 The Yamhill County Wineries Association hosts two annual events, Thanksgiving and Memorial Day weekends.